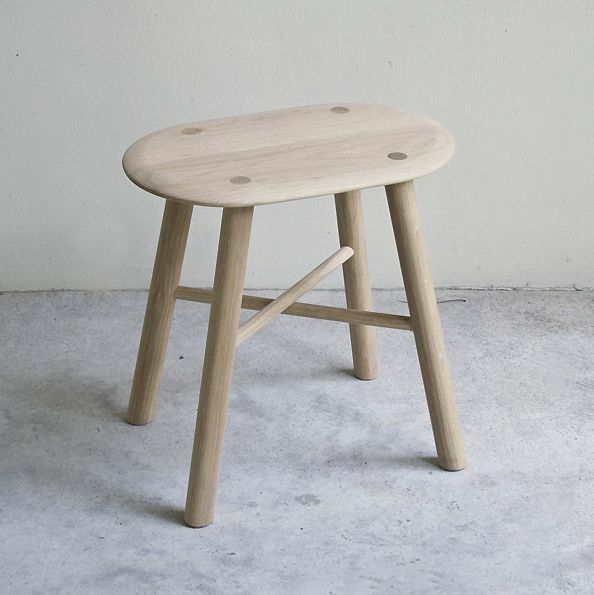 The Outofstock design collective have created the Biscuit Stool. Crafted in solid oak with a hint of farmhouse charm, Biscuit is a trusty companion for breakfast or afternoon tea in a sunlit kitchen. The gently curved edge of the seat is easy on the thighs and pleasant to touch. 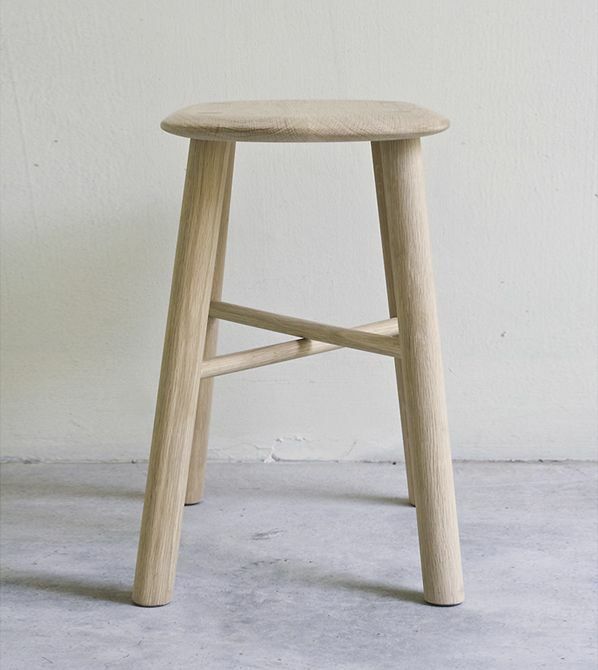 Robust legs in turned wood are strengthened with criss-crossed dowels, completing a stool which uses no screws in its construction. 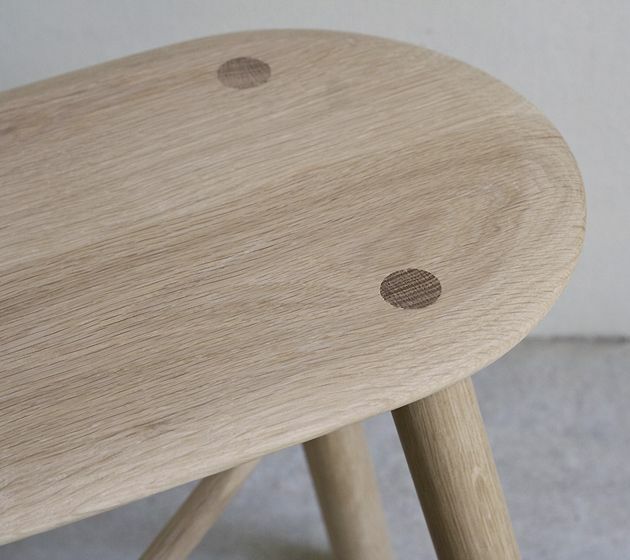 Inspired by traditional wooden stools observed at a fish market in Singapore, Biscuit is designed to be a durable and versatile dining stool suitable for both the home and contract market.